This mosaic depicts a portion of Vesta imaged by NASA's Dawn spacecraft where pockets of bright materials are visible. 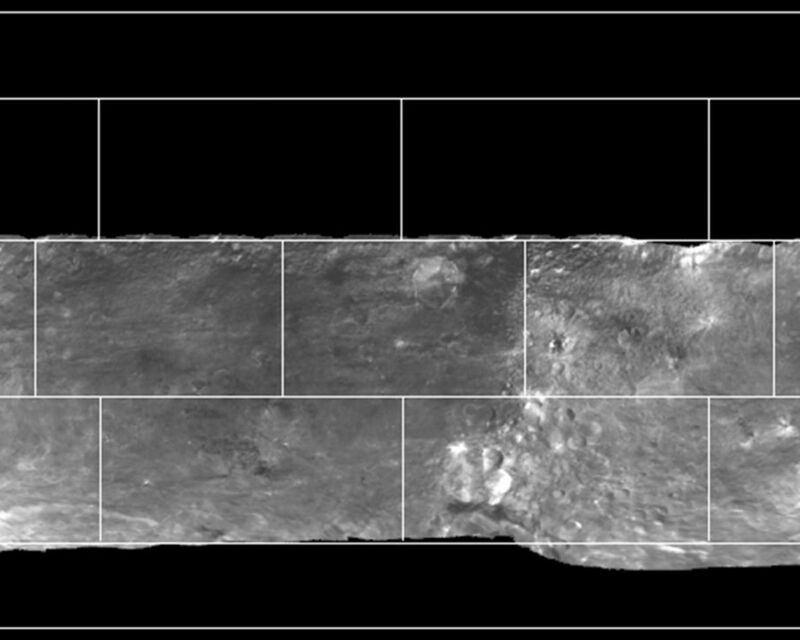 Though Vesta is one of the brightest objects in the solar system, many spots on Vesta turn out to be brighter than Vesta's average brightness. 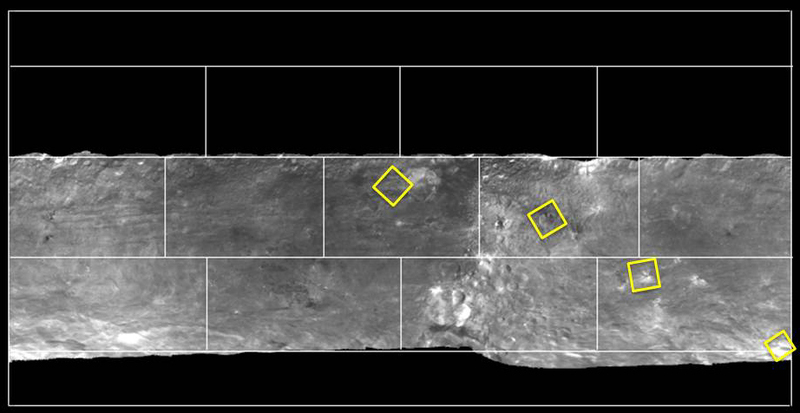 The bright material appears almost everywhere on Vesta in various shapes. 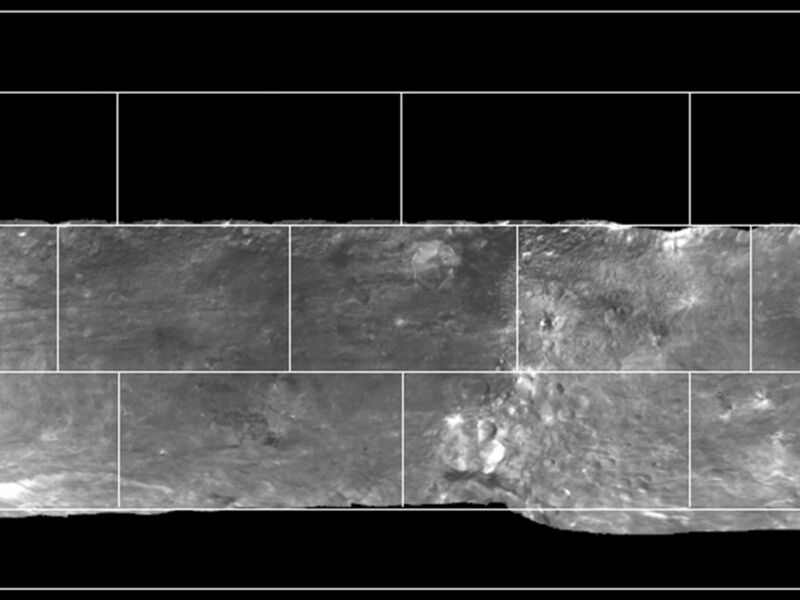 Scientists believe this bright material has experienced the least change in its mineralogy over Vesta's history, and best represents original material from the formation of Vesta. 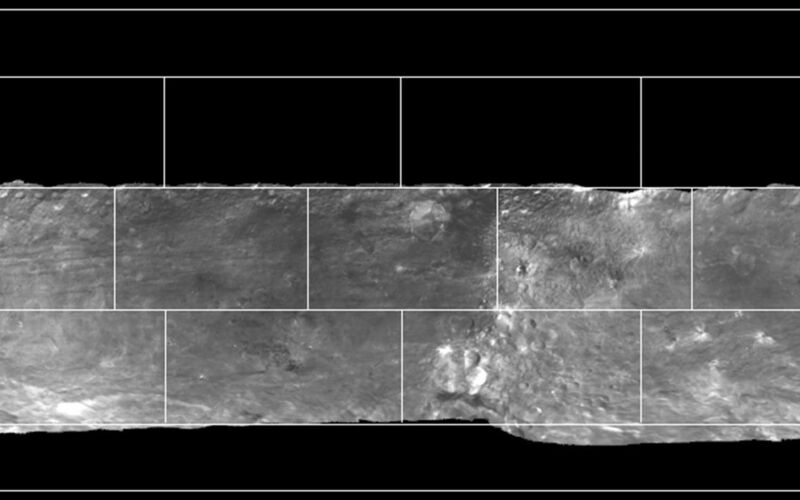 This discovery is significant, because it provides constraints for the formation and evolution of Vesta, which is thought of as a protoplanet or body that almost became a planet. 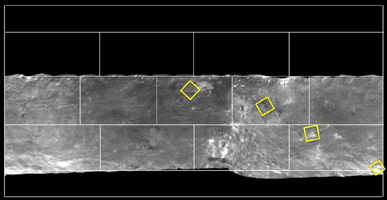 In the annotated version of the image, yellow boxes highlight some pockets of bright material. The images for this mosaic were obtained by Dawn's framing camera between Aug. 11 and 29, 2011, during survey orbit (on average 1,700 miles or 2,700 kilometers above the surface).